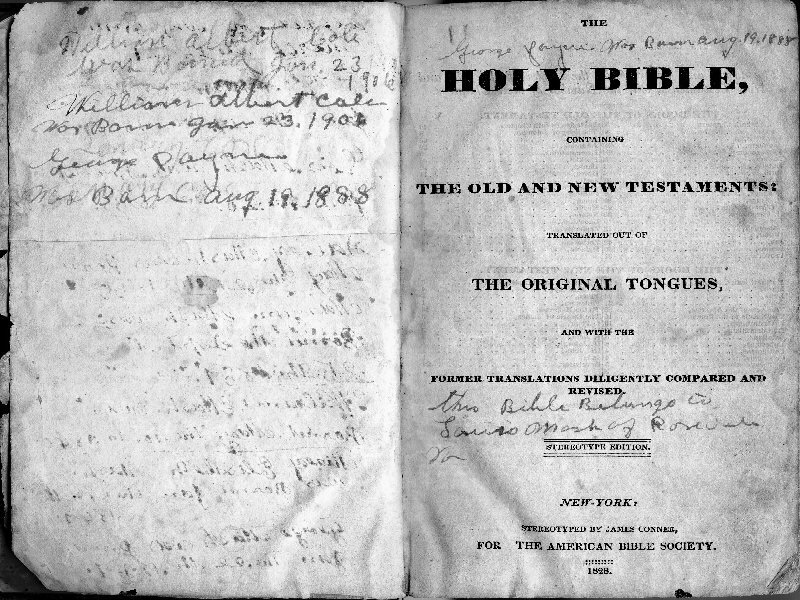 Lois kept a Bible which was apparently passed down to her daughter Sarah Mash Addison, then to her daughter Maude Addison Pippin, then to her daughter Evelyn Pippin Fognano who gave it to Mark Christian who has it in his possession. The Bible is small, about 5 x 7 ½ inches. 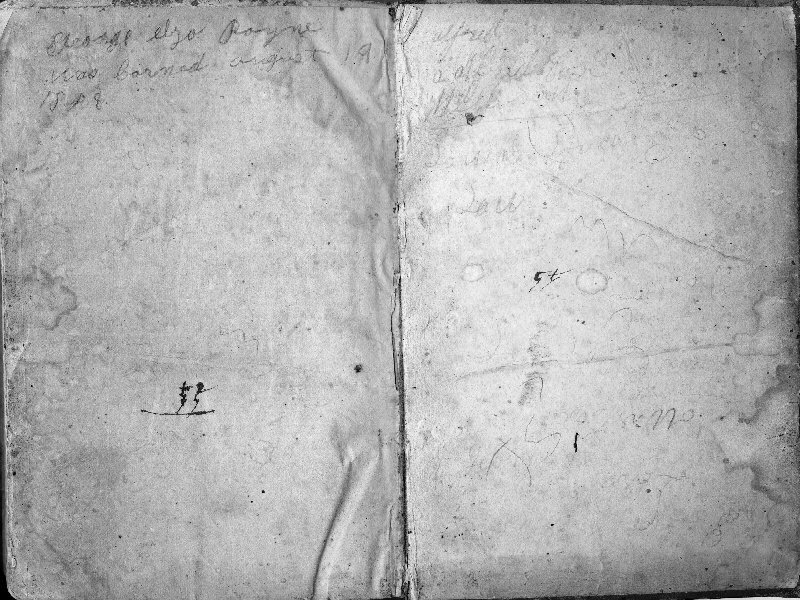 While the binding remains tight, the pages are deteriorating. All of the empty pages had writing on them. 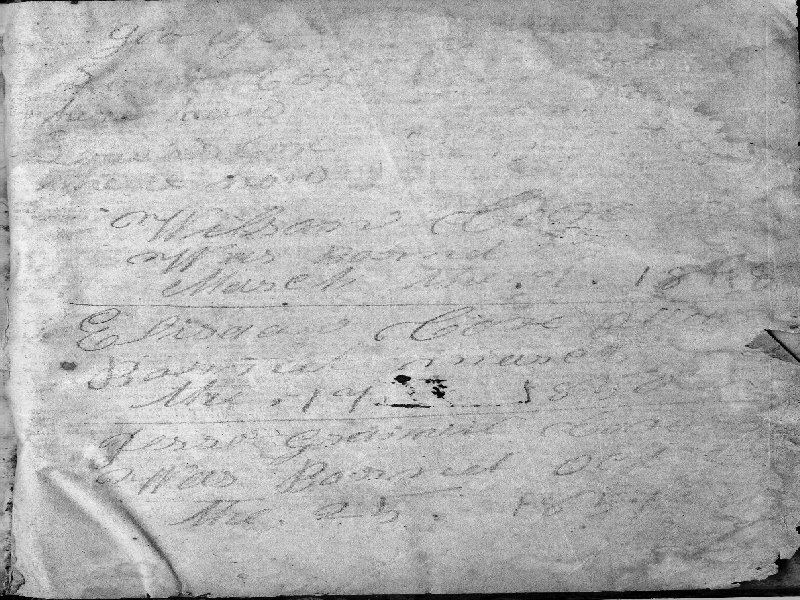 Some of it was very faded and difficult to read. The writing appears in at least two hands, and shows some sign of illiteracy. January the 14th day 1818 Wilson was the son of Jesse and Thursey. the 1st ? day 1823 Eliza Hubbard Cox was the wife of Wilson Cox. Wright County There is a Wright County in Missouri which was founded in 1841. This was Wilson and Eliza's first child, who died in Missouri where they lived a year before going back east to Russell Co.
March the 24 1821 Alfred was the son of Jesse and Thursey. 86 94 Obviously age calculations, perhaps based on dates death. 82 Another age calculation written sidewise on page. There are other numbers there that couldn't be made out. February the 28th 1843 Lowry the son of Wilson & Eliza Cox. the 25th 1845. Mary was the daughter of of Wilson and Eliza Cox. ry the 15 1858 Lois was the daughter of Wilson and Eliza Cox. June the 19 1850 George W. Cox was the second husband of Lois Cox. 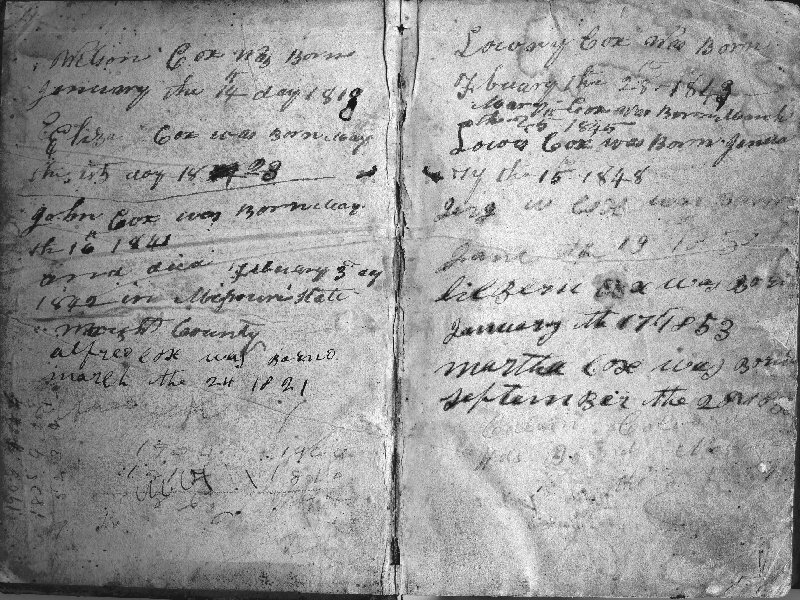 January the 17th 1853 Lilbern was the son of Wilson and Eliza Cox. September the 28th ? 1856 ? Martha was the daughter of Wilson and Eliza. the 3 1854 The son of William Colvard and Martha Mash. Martha was the sister of Lois Cox Mash's second husband George W. Mash. of May 1869 Probably Lewis was the son of William Colvard and Martha Mash. He was the nephew of Lois' second husband, George W. Mash. March the 24 21 Alfred was the son of Jesse and Thursey. Jan the 17th 1836 George was Lois' first husband who died 1862. Jan the 20th 1833 Lois was the daughter of Jesse and Thursey. 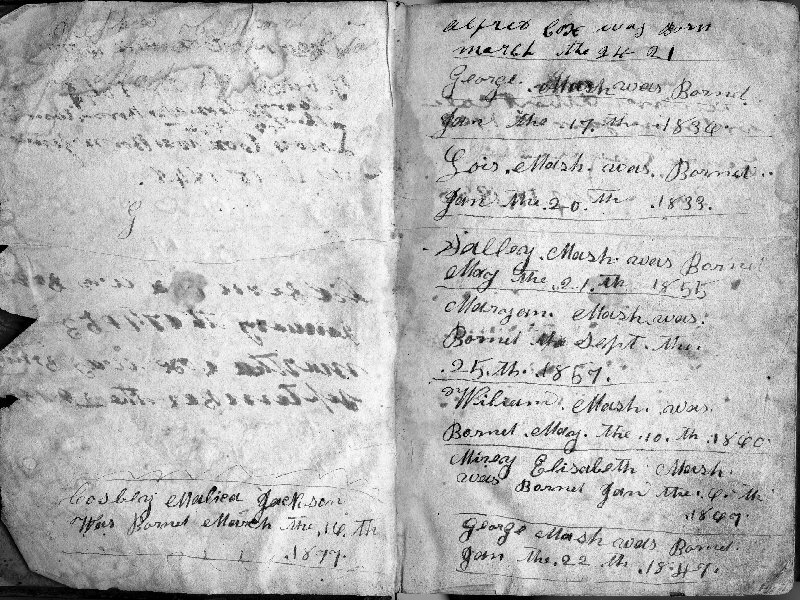 May the 21st 1855 Sarah Mash Addison was the daughter of Lois Cox Mash and her first husband, George Mash. 25th 1857 Mary Ann Mash Jackson was the daughter of Lois Cox Mash and her first husband, George Mash. Bornd May the 10th 1860 William was the son of Lois Cox Mash and her first husband George. Jan the 22th 1847 George W. Mash, Lois Cox's second husband, son of Henry Mash and Nancy Patrick. Was Born Aug 19, 1888 Son of D. Robert Payne and Mary Elizabeth Mash and grandson to Lois. Louis Mash of Rosedale George W. and Lois Mash lived at Rosedale in Russell County, Virginia. 29 More year calculations. Wilson Cox was born in 1818. Might he have died in 1902? March the 7 ? of 1848 Wilson Cox was the son of Alfred and Mary Hubbard Cox. the 19th 1850 Eliza Ann was the daughter of Alfred and Mary Hubbard Cox. 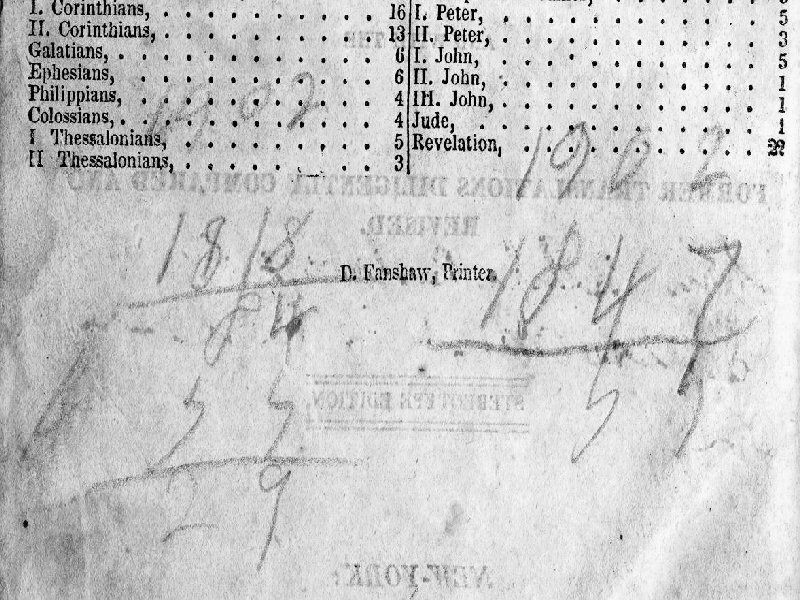 the 25, 1851 Jesse Granville was the son of Alfred and Mary Hubbard Cox. 1888. George was the son of D. Robert Payne and Mary Elizabeth Mash.